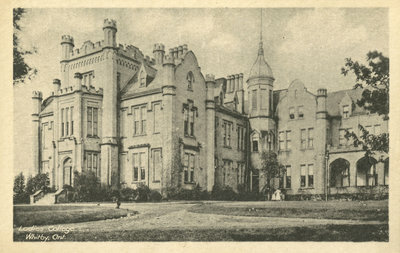 This is a postcard of the Ontario Ladies' College exterior. Ontario Ladies' College, c. 1920, E. Copp. Whitby Archives P2013_001_011.